On the east coast of the island state of Tasmania, south of Australia, you will find the lovely Freycinet National Park, home to the stunning Wineglass Bay. 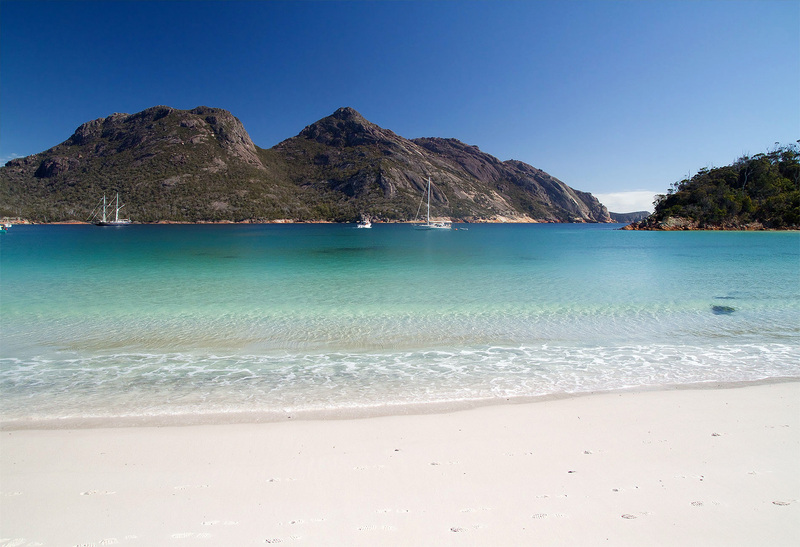 Some notable feature of Wineglass Bay, besides its distinctive “wineglass” shape, are some interesting pink granite peaks standing in a line on the beach. These are called “The Hazards”, and the beach they stand on is often referred to as Hazards Beach. Australians have long known about this haven for fishing, boating, sea kayaking, rock climbing, and fun in the sun, but so far this lovely slice of heaven isn’t on the rest of the world’s radar. That’s partially due to this area of Tasmania being somewhat hard to travel to. 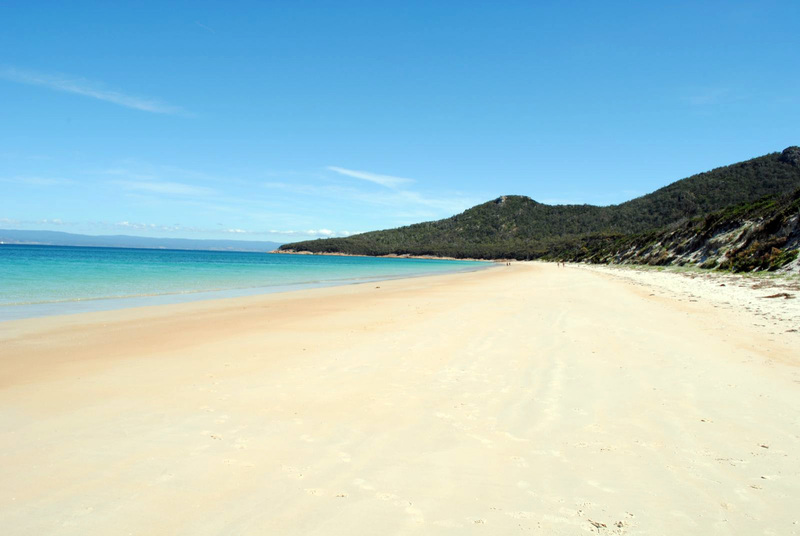 The nearest airport is in Launceston, a 2 hour drive from Freycinet National Park.